Almost everyone I speak to says that they could do with more energy in their lives. So many people today don’t feel energised and can’t do all they want to do. So if you want to have more energy in your life, then continue to read this short blog which will give you three simple, safe and sustainable ways that you can increase your energy levels naturally. What you need to remember is that we all need energy to move forward in life. Everything fundamentally comes down to energy. It doesn’t matter if you have all the skills, strategies and techniques out there. You know what to do. If you don’t have the energy on which to execute those strategies then it’s pointless. 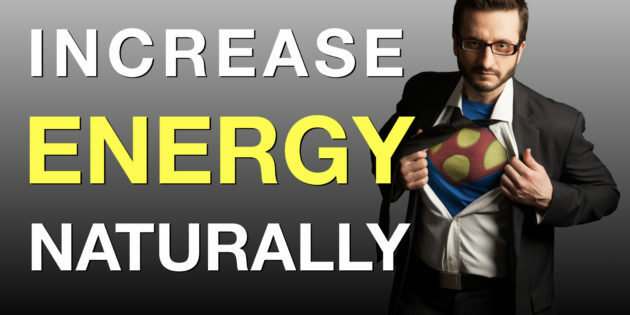 For now, I want to give you 3 simple ways to boost your energy levels. Imagine a high performance car – like a BMW. That’s the metaphor I want you to hold in your mind. You body is like this high performance car. A BMW. And BMW is what you need to remember. These are the three things to give you more energy in an instant. First up. Breathing. Most people breath incorrectly throughout the day. Into the chest (and not belly). This restricts how much oxygen you are able to breath in as your lungs are effectively caged by your ribs and back. Breathing into the belly (diaphragmatic breathing) allows more air to come into your lungs. It also helps reduce stress by activating the parasympathetic nervous system (rest & digest). Breathing into the chest activates the sympathetic nervous system (fight or flight). If you can, continually breath into the belly. For now, as most of us, after infancy, learn to breath incorrectly (for a variety of reasons), stop and take 10 deep belly breaths. Aim to do this 3 times a day or whenever you are feeling a little tired. Your cells of your body, first and foremost need oxygen to survive. This breathing technique will help them get as much as needed. So B is for breathing. 10 deep breaths, whenever you are able to, deep into the belly. And then the chest, ribs and possibly back will also rise. But first the belly. We are a largely sedentary (stationary) population. We are designed to move lots interspersed with periods of rest throughout the day, and longer rest overnight. Mostly though we are sitting down, or standing in one place. Not moving. This leads to a stagnation and build up of things in our body we don’t want. Just move every few minutes. I recommend every 30 – 45 minutes to make sure you get up and move for 3-5 minutes. This could be walking, going up/down stairs, doing some air squats, some press ups, jumping jacks, leg swings, arm swings – whatever. JUST MOVE. Aim to move at least 5 minutes every hour, at a minimum. And then take longer movement breaks every 2-4 hours. Sit and stand in different positions when you are sitting/standing. Set an alarm if needed that repeats to remind you. Water. 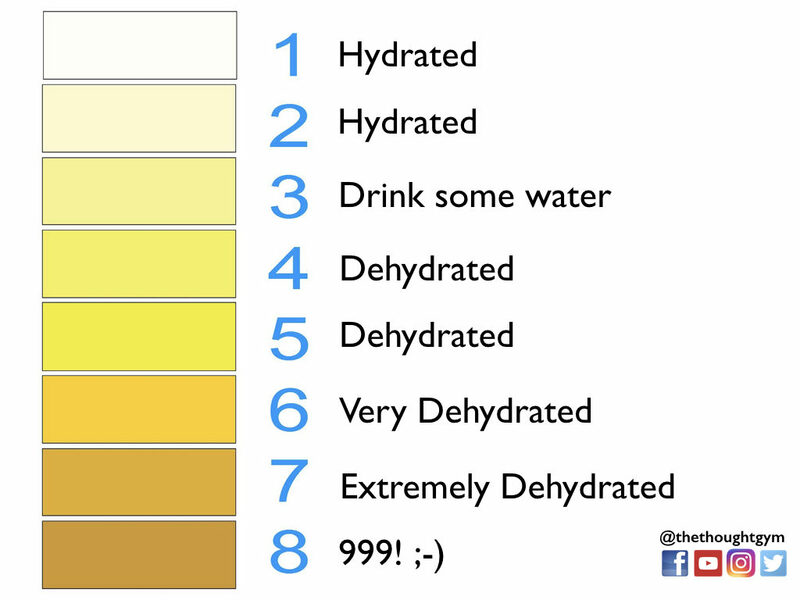 Almost everyone I see is chronically dehydrated. How do I know? Well, they don’t have a water bottle close at hand and my experience says that this correlates to not having enough water. How much water? And why important? Well water is vital for all sorts of reason for the body. From energy levels (what this is all about), to allowing signals to traverse the body, affecting your DNA and more. Just a small percentage of dehydration will be enough to create a lack in concentration, fatigue and fuzzy brain. We are roughly 70% water and we don’t get enough in general to replace what we lose. We lose lots overnight (through sweating and breathing out). In terms of how much water. Simply take the pee test. If you pee is anything but virtually clear, you need to drink more water. For now, just check your pee! If you are lacking in energy turn to this first. I specialise in helping people, like you, think, feel and be superhuman. How to improve their mindset, resilience and wellbeing so that they can be on point, mentally, physically, emotionally and spiritually. Let me know if you think I can help. And check out my various social feeds as I’m always posting free content on these topics. Do let me know how you get on with this BMW idea. Does it help you?